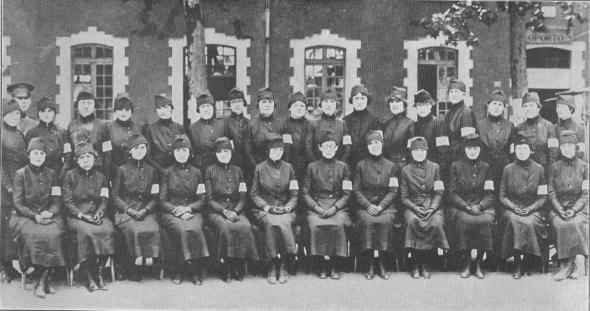 "THE NUMBER IS BUSY"A group of American telephone girls who were designated a Signal Corps Telephone Unit. The work done by these brave and high-spirited girls was of the greatest importance in the complex military movements of our troops. 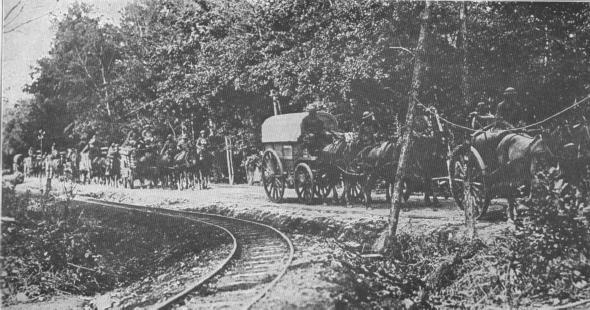 SUPPLIES MOVE TO THE FRONTAn endless chain of supplies of every description went forward to the American soldiers in the front lines in France. It was this generous and unceasing stream of American production that helped to maintain a high morale.